Ms. Cipriano graduated from Nova Southeastern University, Shepard Broad Law Center in 1999 with a Juris Doctorate Degree. Ms. Cipriano obtained a Master's of Business Administration from Fairleigh Dickinson University in 1996. She graduated from Wells College in 1991. Ms. Cipriano is admitted to practice law in New Jersey, New York and Florida. She is also admitted to the United States Supreme Court, the United States Court of Appeals 3rd Circuit, the United States District Court for the District of New Jersey, and the Southern and Eastern Districts of New York. Ms. Cipriano also volunteers on the Morris County Matrimonial Early Settlement Panel. She has tried numerous matrimonial cases to completion and is also a qualified family law mediator. Ms. Cipriano practices in almost every county in New Jersey. She opened her own law firm in 2003. Ms. Cipriano's office has been in West Caldwell, New Jersey since 2007. She has been named as a "RISING STAR IN FAMILY LAW" and "ONE OF 2007, 2008, and 2009's Super Lawyers" in the New Jersey Super Lawyers Magazine." 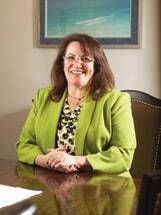 She was recognized by CAMBRIDGE'S WHO'S WHO in 2008 and named as one of "the top attorneys in New Jersey" in 2011. Ms. Cipriano was honored as a "Best of New Jersey Among our Most Distinguished Americans of Italian Descent" and conferred the "Stivale D'Italia Award of Excellence" by the Italian Tribune for her "honesty, integrity and dedication to fair and ethical business practices" and her "outstanding reputation as a Woman Whose Word is Her Bond". Ms. Cipriano is a member of the New Jersey State Bar Association and the New Jersey Association for Justice. She is also a member of the Florida State Bar Association and New York State Bar Association.